APA: What was it like playing a mutant? 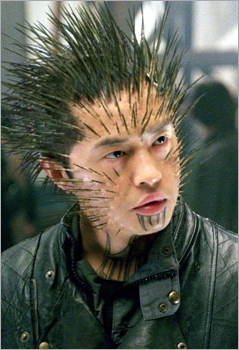 Ken Leung: That was weird because I wasn't an X-Men fan. I actually told [director] Brett [Ratner] that I didn't feel like I was right for it. Brett was just like, "oh just come over," and I was like, "what am I playing?" And he said, "I don't know, we'll figure something out for you." Brett Ratner will direct Beverly Hills Cop 4. Eddie Murphy is like a real-life Benjamin Button. I hope you don't believe those office videos were real.